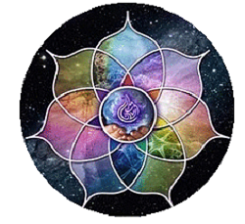 I’m a Multi-dimensional Healer and Bodywork Specialist for the Stars. My name is Dani and I’m a Multi-dimensional Healer and Bodywork Specialist for the Stars. I’m the proud owner of Heal Our Souls and I work with people who want to tap into their power, find their true self and release what isn’t serving them; physically, emotionally, mentally and spiritually. I have worked with some of the world’s best-known celebrities, artists, and extremely wealthy on many of the world’s largest megayachts, estates, and homes. Six years ago, I relocated to Washington DC to work for the owner of the NFL team, The Washington Redskins. During my tenure, I fell in love with the DC area and decided to make Bethesda, MD my home. I offer my services throughout DC, MD and VA.
Dani was the personal therapist to the owner of Motor Yacht ‘Lady S’. Dani flew with the owner to their residences worldwide. She is a specialist in body treatments and has extensive training and experience in lymphatic drainage, deep tissue, and myofascial release therapy. Dani received nothing but glowing reviews during her time with us, both for her techniques and positive and upbeat personality. The word “Shaman” originates from the Tungus tribe in Siberia and means “one who sees in the dark”. Shamanism refers to a person that journey’s to a spirit world in an altered state of consciousness in order to interact with spirits and heal those in our own world. Shamanic healing is an ancient and powerful way of bringing balance and change back in our lives. We Love you and believe you are the best for us! The lymphatic system is a vital bodily defense system that helps to fight infection and disease. Lymphatic drainage massage is one of the best things you can do to help your body help itself. The human lymphatic system is, in a sense, the body’s second circulatory system. It is made up of lymphatic vessels, lymph nodes, lymph (the interstitial fluid drained through the vessels), and lymphocytes (specialized immune cells). The tonsils, adenoids, spleen, and thymus are all part of the lymph system. Myofascial Release is a whole body approach focusing on releasing the connective tissue called fascia. Fascia is a specialized system of the body that has an appearance similar to a spider’s web or a sweater. Fascia is very densely woven, covering and interpenetrating every muscle, bone, nerve, artery and vein, as well as, all of our internal organs including the heart, lungs, brain and spinal cord. Copyright 2017 Danielle Mansfield. All Rights Reserved.